The Urban Land Institute has prioritized health and place for the next two years. 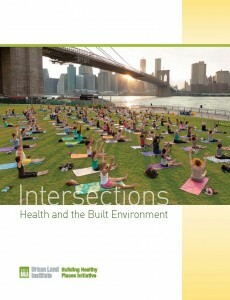 As part of this process, they have published Intersections, a comprehensive report on the link between health and place. Topics covered include access to healthy food, encouraging active living, transportation, and materials. You can download the report for free here.